Protect your investment for years to come. We know that environmental hazards and Erie winters can damage the appearance and decrease the value of your new Honda. 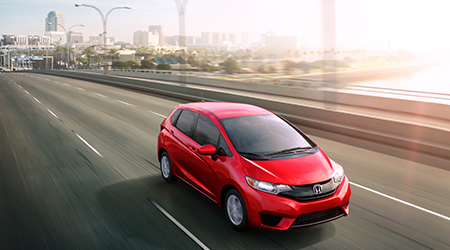 Fortunately, Honda takes great care of your vehicle during the production and delivery process. Vehicles are wrapped in plastic to protect them from acid rain and other environmental elements until they’ve made it to Bianchi Honda. The cars are in perfect condition when they arrive on our lot. Once you’ve taken delivery of your vehicle, it’s up to you to maintain that new car shine, and we are here to help you do so by servicing your vehicle with Auto Butler! You can opt into the Auto Butler program with your finance manager when you purchase or lease your new vehicle. 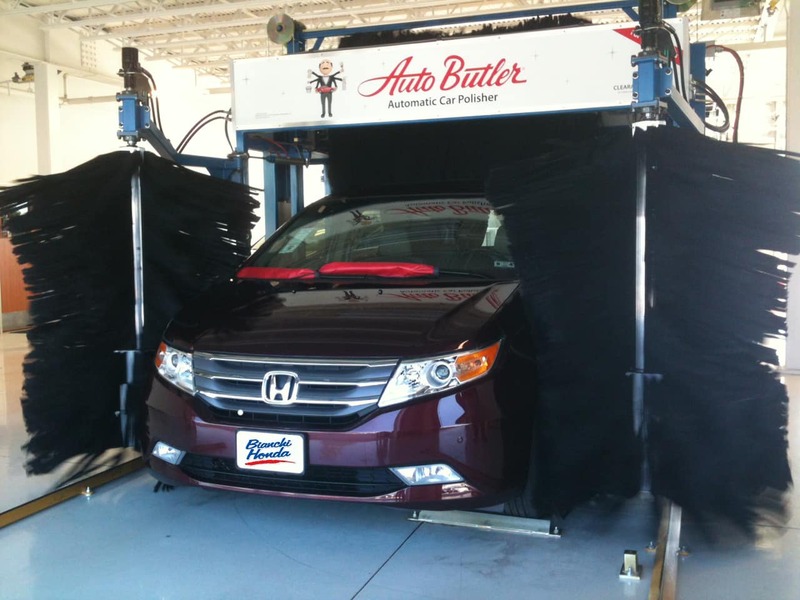 If you have already purchased Auto Butler, you can call us at (814) 864-6765 to schedule your appointment. Why do I need a sealant on my car when it already has a clear coat? A vehicle’s factory clear coat is paint without pigment. Just like paint, the clear coat is prone to fading, oxidation, and environmental hazards. It needs to be protected. Isn’t paint and interior covered under the manufacturer’s warranty? Only manufacturer defects are covered by the manufacturer’s warranty. The manufacturer clearly states that they will not be held responsible for damage resulting from environmental or atmospheric conditions. How do I know when to have the Premier Paint Protection reapplied? We will send you a reminder card the month prior to the date your reapplication is due. When you receive this card, please contact us to make an appointment. It’s already been 6 months and I haven’t received a card, what should I do? Please contact Auto Butler to make sure they have your correct and most recent address in their system. You can contact through their website, change your address by clicking here, or by phone at 612-529-1960. Why do I need to bring my vehicle back every 6 months? Extensive research proves that no paint protection product made today will last more than a year without “rejuvenation” or reapplication. Regular reapplication of Auto Butler Premier Paint Protection guarantees that your vehicle has the protection it needs to prevent permanent damage to the vehicle’s finish. Your warranty is either for 3 or 5 years from the date you purchased your vehicle. Consult the Auto Butler warranty form you received when you purchased your vehicle. What does my paint warranty protect against? The Auto Butler Premier Paint Protection II warranty protects against environmental damage, tree sap, bird droppings, fading, and oxidation. This warranty does NOT protect against chips or scratching on the vehicle. Can I still wax my vehicle? After having the Premier Paint Protection II applied to your vehicle, there is no need to wax. However waxing your vehicle will not harm the paint protection or void your warranty. We also recommend regularly washing your vehicle using a soft cloth car wash.
Shields your vehicle from harmful side effects when your vehicle comes into contact with elements such as tree sap, acid rain, and ultra violet rays. Protects and maximizes the resale value of your vehicle. Sends reminders every six months to ensure your vehicle is protected and looking its best at all times. Provides a protective barrier to resist soils and spills. Will not change the look, feel, or breathability of upholstery, and keeps the fabric looking newer, longer. Provides an excellent staining repellent. Replenishes leather’s natural lubricants lost during normal use. Maintains leather’s beauty and durability. Carries warranty against cracking or peelings that may occur. Removing all your personal items from the car is a good way to ensure we can reach all the spots we need to. 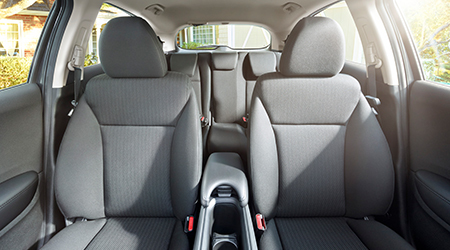 Getting bulkier items, like car seats, out of the way helps us clean your car much more efficiently. Making sure that everything is out of the trunk is very important if you want the back to be vacuumed well. While we do indeed know how to throw away fast food bags and Starbucks cups, taking care of things like that before you bring your car into the dealership for your Auto Butler makes the job easier and gets you on your way faster. Your appointment may last 2-3 hours. Drop your vehicle off for the day and use our courtesy shuttle or wait for your vehicle in our guest area. We offer free snacks and beverages in our cafe, as well as free public wifi, cable television, and a play area with tablets for children. Ready to schedule your next Auto Butler Appointment?